Our Annual Meeting will be held on May 5, 2017 in the Ball Visitors Center at the Sandhills Horticultural Gardens, part of the Sandhills Community College in Pinehurst , NC. 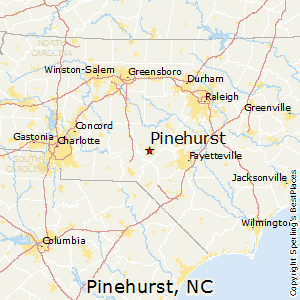 Pinehurst and the surrounding towns of Southern Pines, Aberdeen, Whispering Pines are known to be prime golfing areas and with the addition of temperate weather, has drawn many to retire there. The area is growing and now young active military families from nearby Fort Bragg are choosing to live in the area. In addition one might attend practice harness races and other equine events at certain times of the year. Nearby Cameron has many antique shops and The Dewberry Deli. 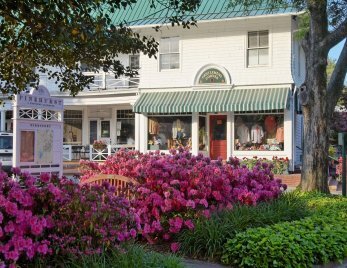 Both the Village of Pinehurst and downtown Southern Pines support quaint privately owned shops and small restaurants. This area seems to love their traffic circles which are horticulturally designed with shrubs and flowers of the seasons. For general information and a more detailed map please click here. For detailed driving instructions please click here.